The government is unveiling a new surveillance system to better track HIV infections, scrapping an existing method that doesn't indicate how recently patients were infected. The new system no longer relies on AIDS cases data submitted by state health departments — half of which don't report those cases because of privacy laws — but on anonymous data from 35 sites around the country to create a nationally representative snapshot of new infections by the virus, researchers at the Centers for Disease Control and Prevention said. Federal health officials also will now use two antibody tests that indicate whether a patient had been infected in the last six months. 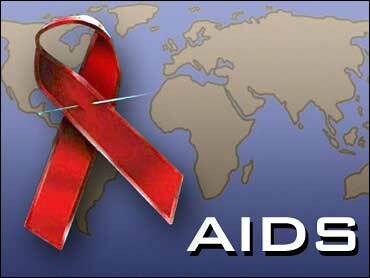 With some HIV-infected people living for more than a decade without developing AIDS, the old method did not reflect recent HIV infection trends. "The new system applies this technology and allows us to distinguish a new infection from an old infection," said Dr. Ronald Valdiserri, deputy director of the CDC's National Center for HIV, STD and TB Prevention. "It gets at the question everyone wants answered, which is how many new cases of HIV are occurring." The new reporting system will provide statistics from areas that represent 93 percent of the country's HIV population, according to Dr. Robert Janssen, director of the CDC's HIV and AIDS Prevention division. To help collect the data, the CDC will send a total of $13 million to states participating in the program. The CDC planned to announce the system Sunday during the first day of the agency's National HIV Prevention Conference in Atlanta. CDC officials say the new set of antibody tests is about 95 percent accurate. "It relies on the fact human beings go through a fairly predictable process of antibody development" after infection by the HIV virus, Valdiserri said. "Early on in the infection, you don't have too many antibodies to HIV. Over time, the longer you're infected, the more antibodies you're able to produce." By knowing where recent HIV infections are, health officials can shift resources to tackle the new cases. The government has been trying to cut new HIV cases — currently about 40,000 a year — in half. Advocacy groups have expressed concern over how the data will be recorded and whether infected people will retain their anonymity. "No doubt it will provide a more accurate picture of the epidemic but it's coming full-scale against the debate over how to best do it and protect" the privacy of patients, said David Harvey of the AIDS Alliance for Children, Youth and Families in Washington. The new system also comes amid debate between the CDC and advocacy groups over how money is spent for HIV prevention efforts. The CDC has announced new guidelines that shift HIV prevention efforts from community projects aimed at educating the general public to focusing on people who can spread the disease. Harvey said some advocates are concerned that the CDC policy could stigmatize people who are already infected and overlook some people who are at risk.